Absolutely love the dark porcelain doll WOW. Such a refined look. The three of them have different costumes. I hope Anna posts pics here. Many thanks, my dears! Of course I will post pics here. The paintwork is just divine, so detailed on all three!!! We were talking about skin tones in another thread. 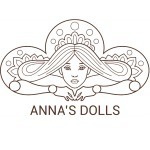 Anna, what is it like creating a doll with darker skin? Are you using darker porcelain or are you painting the color on? Is it significantly more difficult than painting a doll with light skin? allurose, thank you! 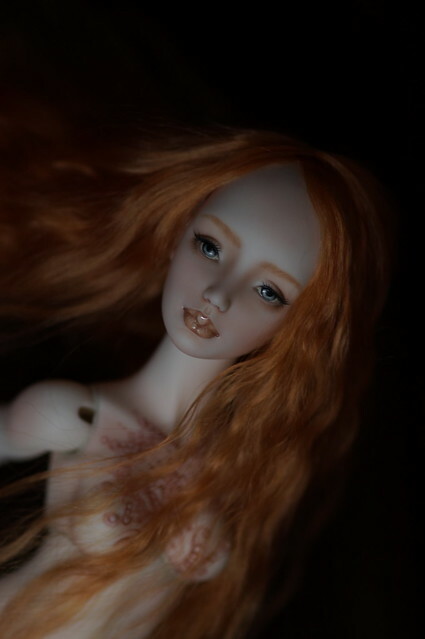 I am using prepared dark porcelain for dolls. Face painting and body blushing is more difficult than on light porcelain but the result is splendid! Thank you for answering! It seems like in at least some parts of the world people are having trouble finding good quality dark porcelain. Or perhaps they just don't know where to look. I know from blushing resin dolls that it takes a different color palate and some adjustment in thinking to paint a dark skinned doll properly. You have done very well! I buy porcelain at "porcelainplace". A lot of experiments I had to spend to get a good result, a smooth shiny surface after firing this dark porcelain. Just beautiful- and well worth the extra work involved in your experiments to achieve this outstanding result! Yes, it seems that a lot of artists have problems with firing dark clay and it coming out beautifully. There's definitely some experienced know-how to it. 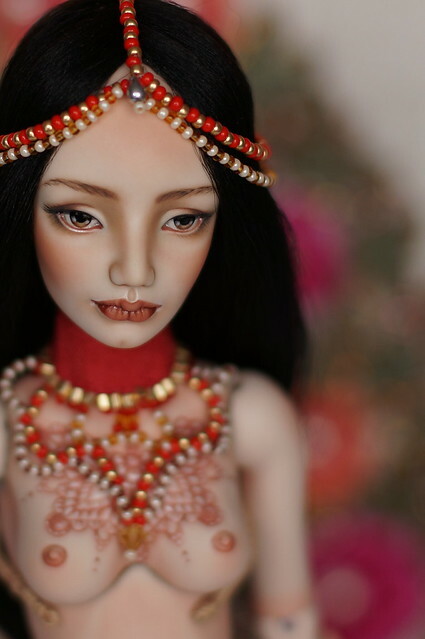 I can't say it enough but Anna's dolls are exquisitely finished with smooth colour-- and I have quite a few other porcelain dolls from different artists to compare to. I remember wanting one of Anna's previous dark skinned dolls named Klumba, but somehow she got away... So now I am thinking I NEED a dark skinned doll soon. 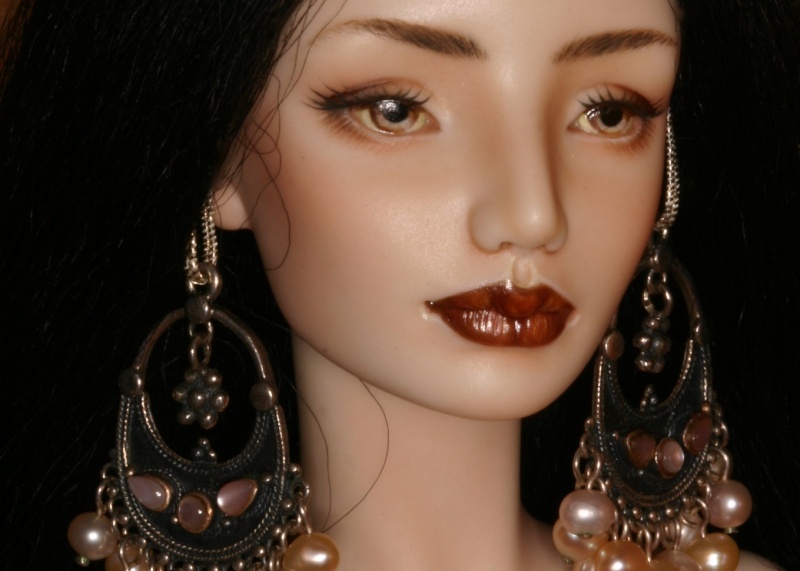 Sutton, I have to buy dark porcelain again and I will make dark skinned dolls. 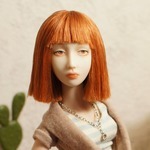 But for now I'll show you a new doll which I am preparing for Ebay. Anna!She's breathtaking as always.Good luck for the auction.